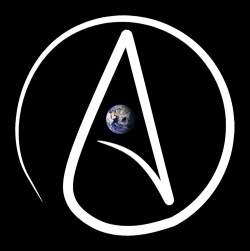 I can never understand what people have against atheists. In this country, where there is complete freedom of religion, people should also have the right to not believe in any religion. Apparently, this did not happen in the city of Warren, Michigan. At Warren’s city hall, Warren residents can go visit the place for paying their taxes, registering to vote, visiting the local library branch, and going to the farmer’s market when it is in season. Starting in 2009, a local christian church in Warren set up a “prayer station” where people can get free literature, and visit that local church if they so wish. This church got permission to have this prayer station at city hall. No problem here. One day, a man named Douglas Marshall, who frequently passed by the prayer station, decided to set up what he called a “reason station.” Being an atheist, Marshall decided to set up his own booth whereby he could hand out literature and talk to people about atheism. This should not have been a problem. After all, Warren’s city hall is a public forum, and by First Amendment of the U.S. Constitution, Marshall should have been able to obtain the necessary permit to allow for his reason station. This did not happen. The mayor’s office of Warren refused to issue such a permit on the premise that Marshall was “anti-religion,” and threatened the religious liberty of Warren. Nothing could be further from the truth, but Marshall was refused a permit to air his own viewpoint. This was a gigantic mistake on the part of Warren’s city hall—it cannot favor the opinion of one group or institution over another, and it cannot bar atheists from airing their viewpoint at a public forum. The result? Marshall, with legal help from the American Civil Liberties Union, the American Civil Liberties Union of Michigan, the Freedom from Religion Foundation, and American United for the Separation of Church and State, has filed a lawsuit against the City of Warren. The chances are high Marshall will win this. Personally, I cannot understand why the City of Warren denied Marshall a legal permit for him to have a reason station in a public forum. Did they not contemplate that they might be the recipients of a lawsuit? Did they not realize that this is a violation of both the Michigan and U.S. constitutions? If someone had wanted to set up a public forum for Buddhism, Judaism, or Islam, would they be allowed to do so? In the end, the argument should not be a religious group being able to set up a station in a public forum versus a non-religious group being able to set up a station in a public forum. It also should not be one religion versus another. The point is that all should have a right to set up a legal station in a public forum (as long as they do not advocate violence) since this is part and parcel of the constitutional rights we all enjoy. Somebody had better explain that to some of the officials running the local government in Warren.